Deja Vu All Over Again As 'Sequester' Deadline Looms : The Two-Way Once again lawmakers are up against a deadline. This time, it looks like they won't strike some sort of deal. That means about $85 billion worth of spending cuts will start to spread across many federal agencies. 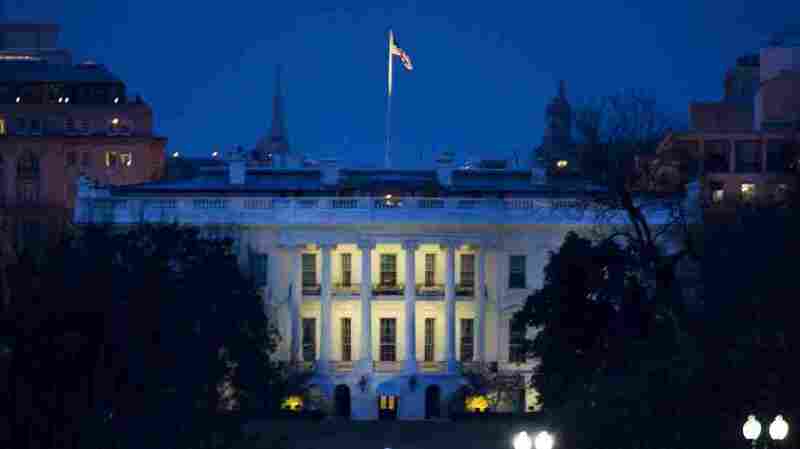 The White House: When night falls, it looks like the "sequester" will arrive. It's like Groundhog Day, as NPR's Ari Shapiro said on Morning Edition. Or maybe you prefer the way baseball's most quotable notable, Yogi Berra, would put it: "Deja vu all over again." Whichever you choose, today's front page news is a repeat of stories we've seen play out before. We're again on the edge of a "cliff" — another in a series of deadlines created by lawmakers in Washington. There was summer 2011's drama over whether lawmakers would or wouldn't shut down the government. Then there was the will-they-or-won't-they push us over the "fiscal cliff" soap opera at the end of 2012. Both battles ended with the two sides agreeing to some compromises — but also putting off harder decisions until later. That's why now there's yet another battle of wills over whether the nation's massive budget gap should be narrowed with a combination of spending cuts and tax revenue increases (the Democratic position) or through spending cuts alone (as Republicans want). Barring some sort of surprise coming out of a mid-morning meeting at the White House between President Obama and congressional leaders, at the end of the day "sequestration" will kick in. About $85 billion worth of budget cuts will begin to spread across most federal agencies. -- "Congress Heads Out As The Sequester Blows In," from The Washington Post. "One day before automatic spending cuts were due to hit the Pentagon and other federal agencies, Congress on Thursday abandoned efforts to avert the reductions and left town for the weekend. The sequester is here, and policymakers have no plans to end it." -- "Boehner Halts Talks On Cuts, And House GOP Cheers," by The New York Times. "Speaker John A. Boehner, the man who spent significant portions of the last Congress shuttling to and from the White House for fiscal talks with President Obama that ultimately failed twice to produce a grand bargain, has come around to the idea that the best negotiations are no negotiations." -- "Cuts Roll In As Time Runs Out," from The Wall Street Journal. "The federal government enters a controversial new phase of deficit cutting Friday, as an automatic trigger begins slicing budgets in some areas while leaving programs such as Medicare and Medicaid — among the largest drivers of future debt — largely untouched." One thing to keep in mind, as NPR's Tamara Keith tells our Newscast desk, "it will be days or weeks" before the full effects of the cuts become clear. And in those days and weeks, of course, lawmakers might reach some sort of agreement. We've been collecting "should-read" stories about the sequester all week. Our previous posts: Monday's; Tuesday's; Wednesday's; and Thursday's. All of NPR's sequester coverage, by the way, is collected here. "After White House talks, [House Speaker John] Boehner rules out tax hikes, says now is time to take on spending," the AP reports. Meanwhile, the White House says President Obama will come to the microphone in the briefing room at 11:35 a.m. ET. The Washington Post says the leaders' meeting at the White House has ended "with no sign of a breakthrough." The president is expected to appear in the White House briefing room around 11:30 a.m. ET. — presumably after his meeting with House Speaker John Boehner, R-Ohio, and others.